Start a Conversation today with Your Crop Vitality Specialist Call (800) 525-2803, email info@cropvitality.com or visit CropVitality.com ©2018 Tessenderlo Kerley, Inc. All rights reserved. 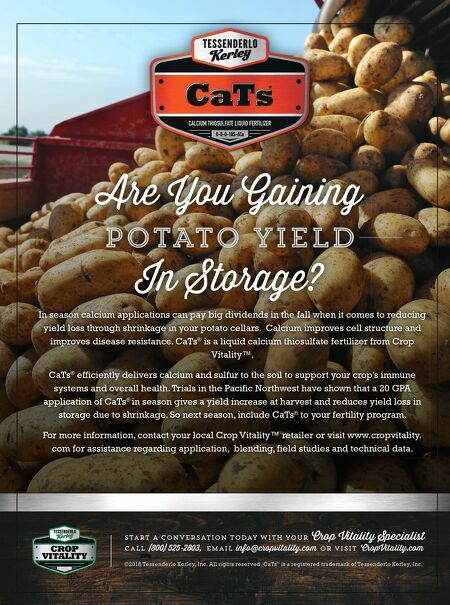 CaTs ® is a registered trademark of Tessenderlo Kerley, Inc. Are You Gaining POTATO YIELD In Storage? In season calcium applications can pay big dividends in the fall when it comes to reducing yield loss through shrinkage in your potato cellars. Calcium improves cell structure and improves disease resistance. CaTs ® is a liquid calcium thiosulfate fertilizer from Crop Vitality™. CaTs ® efficiently delivers calcium and sulfur to the soil to support your crop's immune systems and overall health. Trials in the Pacific Northwest have shown that a 20 GPA application of CaTs ® in season gives a yield increase at harvest and reduces yield loss in storage due to shrinkage. So next season, include CaTs ® to your fertility program. 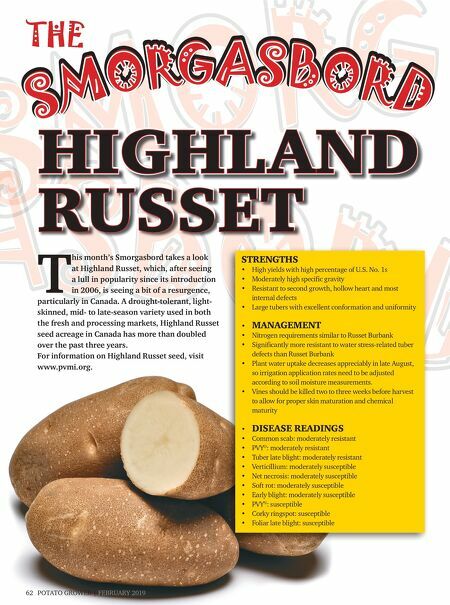 For more information, contact your local Crop Vitality™ retailer or visit www.cropvitality. com for assistance regarding application, blending, field studies and technical data.